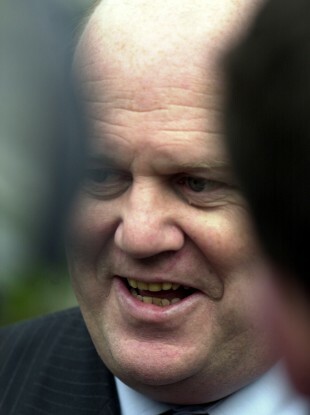 Micheal Noonan wants to "progressively abolish" USC as "resources become available". THIS WEEK, FINANCE Minister Michael Noonan confirmed the government’s intention to “progressively abolish” Universal Social Charge. The statement came towards the end of a Budget speech in which the Fine Gael TD outlined changes to the much-hated tax that will see an estimated 700,000 income earners not paying it at all from next year. USC was introduced in the emergency Budget of December 2010 as a replacement for both the income levy and the health levy, or health contribution, and taxpayers became liable for it from 1 January 2011. The tax has proven deeply unpopular and served as a reminder to workers of the price they are paying for the economic crisis. A recent Claire Byrne Live/Amárach Research poll, in conjunction with TheJournal.ie, found that 78% of people are in favour of its abolition. It’s not possible to just abolish USC. I note that the Fianna Fáil speaker seemed to be indicating that you could make up for it by general taxation, which would mean pretty serious increases in income tax. Noonan made similar noises to Kenny around the time of the Budget last year. After all, USC brings in an estimated €4 billion to the State’s coffers every year. As resources become available we will progressively abolish the USC to reward work and reduce the marginal rate to no more than 50 per cent for all workers. As for whether that might involve the aforementioned increases in income tax, Noonan appears to be ruling this out. I said that if we were back in Government we would eliminate USC completely over a series of budgets as soon as we had the resources. I believe it would not be necessary to increase income tax to achieve this. The Fine Gael minister has not laid out a specific roadmap for this, but there are indications that the coalition hopes to phase out USC entirely by 2020 if it is re-elected. Surely abolishing a tax without introducing another tax to replace it, or hiking existing ones in order to make up the shortfall in revenue to the state, would be irresponsible and unworkable. You would need to have growth of the order of 5% if they didn’t want to introduce any other taxes. Lyons stressed that the abolition would have to be gradual and over the course of a number of budgets, as well as being contingent on good growth. In particular, the government once again decided to narrow the tax base in Budget 2016 by taking people out of the tax net entirely. This was a mistake in our view. O’Leary also pointed to the EU’s strict fiscal rules and the estimated €0.5 billion that the government will have to spend in Budget 2017, meaning any move to abolish USC would involve ‘backloading’ it towards the end of the decade. Peter Vale, an economist at Grant Thornton, is also of the view that it can be done, saying, like Lyons, that it is “doable” if the economy continues to grow at its present rate. If that happens and you get to those unemployment targets, you will see that gap close in terms of tax receipts and it’s feasible alright. Vale said that with the economy growing, people will have more money to spend, increasing the amount of VAT going to the exchequer. Indeed, if the government intends to abolish theUSC without increasing income tax – as Noonan claims could be possible – then the estimated €4 billion shortfall would have to be offset by increased revenues from VAT, corporation tax, property tax, and capital taxes. All of this is contingent on a buoyant economy where people and businesses are spending more and thus paying more tax into the system. Too much tax take is made up of income tax. Noonan would prefer that to drop as a percentage of the overall tax take. If things continue as they are, you’d see a major change in the tax take from other taxes. Lyons doesn’t think it’s a good idea to abolish USC and narrow the tax base without some sort of replacement tax that ensures those on the lowest incomes contribute at least something. He explained: “If this goes back to 10 years ago, where a family on the average industrial wage was a net recipient from the state rather than a net contributor, it’s not a healthy way of doing things. A small amount of money from a large amount of households may not win votes but it makes sense. This cuts to the dilemma facing the government. It’s certainly politically advantageous to tell voters that you will abolish or cut taxes, but how do you balance that with ensuring those same voters also know that you are fiscally responsible? “Every time they hear a proposal, every voter should ask how it’s going to be funded… too often parties don’t say how they’d fund it,” Lyons said. Given that we’re not at balanced spending yet any suggestion at all to lower taxes should be followed with a question from the doorsteps about how that party will pay for it. Read: Why hasn’t the USC been scrapped yet? Analysis: Did the government sweeten you enough to re-elect them? Email “Can we really just abolish the USC? ”. Feedback on “Can we really just abolish the USC? ”.